Ships today if you order in the next 4 hours 52 minutes. 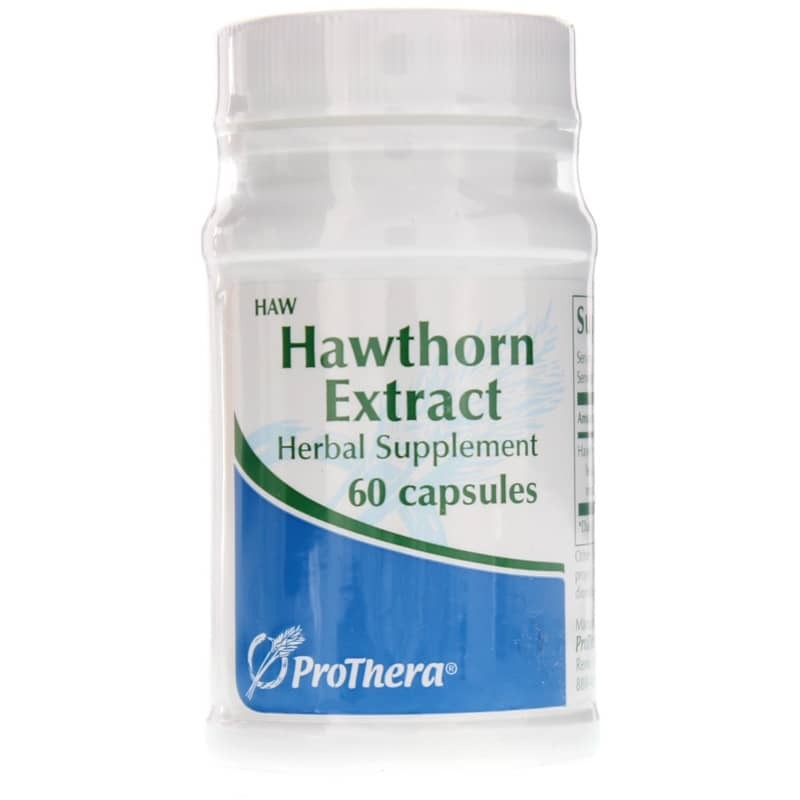 ProThera Hawthorn Extract is a herbal supplement containing a cardioactive herb, which means it may support cardiovascular health. A member of the rose family, Hawthorn may help heart health through its antioxidant content. This may lead to dilation, or expansion, of smooth muscles in the heart and blood vessels, lowering their resistance and boosting blood flow. This may help maintain normal blood pressure. 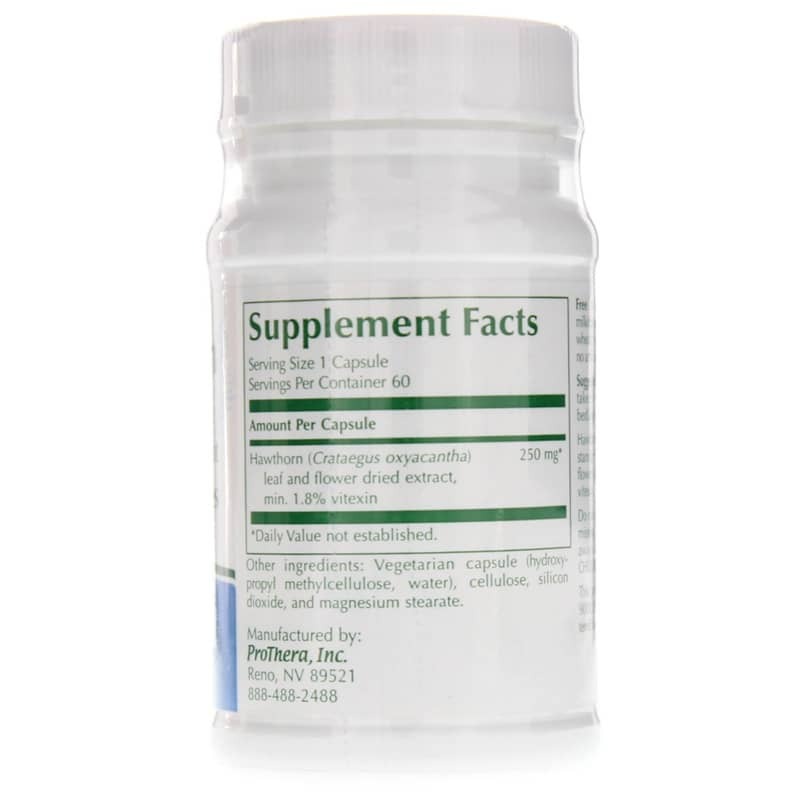 This supplement is standardized to vitexin, an active flavonoid component. 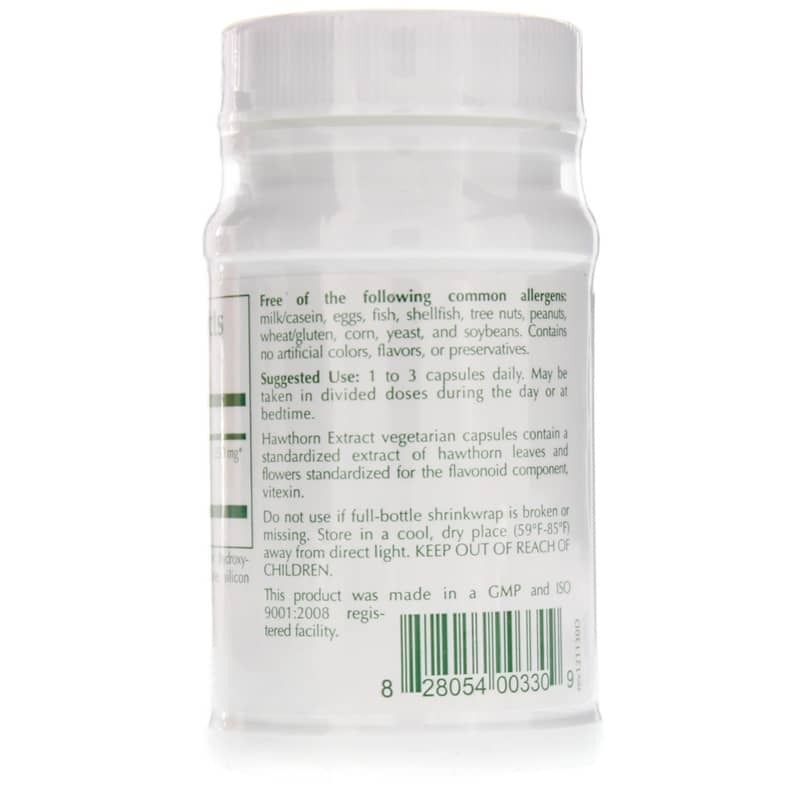 Other Ingredients: Vegetarian capsule (hydroxypropyl methylcellulose, water), cellulose, silicon dioxide, and magnesium stearate. Adults: 1 to 3 capsules daily.